According to the CDC, there are more than 9 million people in the US alone who take a prescription sleeping pill each night. But even though that prescription might come from a trusted doctor, that doesn't mean it's completely safe. There are some serious health risks that most patients aren't told about before they go fill their scripts at the pharmacy. In some cases, your own doctor might not even be well versed in how bad these pills are. Keep reading if you're worried about how safe your prescription sleeping pill might be. Benzodiazepines - these medications are usually used short-term for their anti-anxiolytic effects. They also have the ability to make sleep easier and last longer - again, only in the short term. Long term use leads to dependence, impaired ability to get restorative sleep, rebound insomnia, and withdrawal. Nonbenzodiazepines - also known as "hypnotics" or "soporifics". These are the more popular prescription sleep aids like Ambien or Lunesta. Unless you get them in an extended release formula, they're only really good for initiating sleep; they won't help you stay asleep, improve your sleep quality, or extend sleep time. 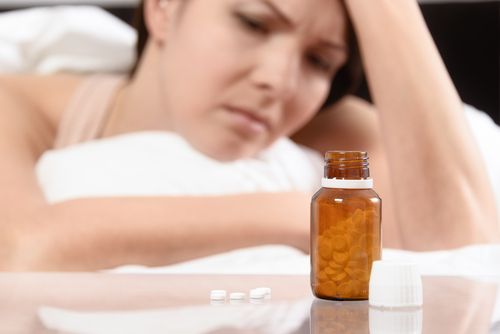 Tricyclic Antidepressants - There are a few antidepressants out there that are so notorious for causing drowsiness that doctors will prescribe them off-label for sleep problems. They induce sleep, like hypnotics, but they also run the risk of causing the same symptoms you would feel with any other antidepressant. Some of these include priapism, serotonin syndrome, dizziness, and irregular heartbeat. As ironic and unexpected as it may sound, long-term use of prescription strength sleep aids can actually reduce your ability to get quality sleep. Your ability to cycle through REM sleep, as well as deep wave sleep, can become severely compromised. And the longer you use (or potentially abuse) them, the more likely this damage can become permanent. Even though you may fall asleep, you can still experience symptoms of sleep deprivation without this restorative type of sleep. Some scientific experiments showed lab rats growing tumors when administered high doses of prescription sleeping pills. Other data shows a correlative (but not yet a causal) relationship between prescription sleeping pills, cancer diagnoses, and higher mortality rates. So if you're going to resort to taking sleeping pills, be sure to keep these risks in mind. 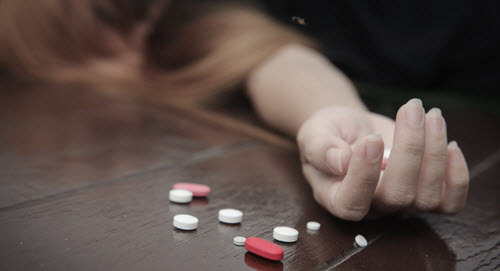 There are plenty of horror stories out there about people on prescription pills doing things while still asleep. Some of those activities include sleepwalking, sleep-eating, driving while asleep, and more. Between getting into car wrecks or suffering physical trauma from falling while sleepwalking, it's easy to see how dangerous these activities can get. Even eating while asleep could also cause changes to your waistline and metabolism which, over time, can lead to some serious health problems. Like many other prescription drugs, there can be some pretty rough withdrawal symptoms when you stop taking them. The worst symptoms come from benzos and include nausea, anxiety, panic attacks, reduced cognition, and rebound insomnia. 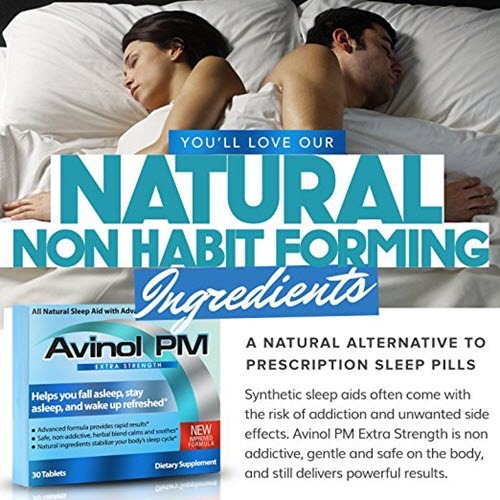 Indeed, whether physiological or psychological, pretty much all prescription sleeping pills run the risk of giving you rebound insomnia when you stop taking them - which essentially defeats their whole purpose. If your insomnia is a legitimate medical condition that keeps you from living a normal, healthy life, by all means go see a doctor and get it taken care of. But for the vast majority of the 9 million Americans taking prescription pills today, there are healthier and gentler ways to encourage and improve a good night's sleep. These can include lavender baths, a warm cup of herbal tea, natural sleep aids like Avinol PM, or even wearing a sleep mask at night to block out light so that your body can produce more melatonin. All we're saying is that there are better, safer solutions out there - and you should try them out before rushing to the doctor for a prescription.